Windows RT is kind of an annoying platform. It is Windows, designed to run on ARM chips, and although it still has the classic desktop, you can't use any legacy apps, because Microsoft has locked it down to only run apps from the Windows Store. That's all well and good if you want a tablet that is limited by the Windows Store, but it's not that great overall. And, as with all locked-down platforms, devs are hard at work on a jailbreak, and they just got a lot closer to a full jailbreak option for Windows RT. They are the same thing and MSFT enforces Code Integrity to artificially separate these platforms... You can even enforce Code Integrity on Windows 8 to see what Windows RT feels like! The decision to ban traditional desktop applications was not a technical one, but a bad marketing decision. What he found was that the only difference between Windows 8 and Windows RT is that minimum level security check, which will only allow apps signed by Microsoft to run. Clrokr has been able to bypass that check and get unsigned apps to run on Windows RT machines. The bad news is that as of now the jailbreak doesn't hold after a restart, and needs to be repeated. Still, it's a big step towards a full jailbreak option for Windows RT. But more than that, we'd like to get some clarification from Microsoft on the real difference between Windows RT and Windows 8, because if Clrokr is accurate, it's kind of unacceptable for Microsoft to impose an artificial lockdown on Windows RT. We have contacted Microsoft about the issue, and if we get word back, we'll let you know. ohhh now hack it to run normal windows apps! so you need to jailbreak? What if i told you i have root access almost out of the box? does it make sense? Sooooo... we hack into something made by Microsoft and what do we find? A whole lot of meh. Honestly, did anyone think that there would be some super awesome code nuggets in Windows RT? Like it or not, Microsoft made some pretty nice magic happen with Windows RT in order to deliver a nearly uniform experience when compared across any platform to which Windows is installed on. No bells or whistles. It just works. Yes, because they're the SAME THING. That's what they're trying to explain... The reason it's so cohesive is because they're the exact same platform, one just doesn't run certain apps because they're blocked. That's all. but that seems to be a good thing considering the large incompatibility with x86 and arm. It saves people from trying to figure out that guess what something will not work on arm. I think it was a great decision because it gave them the least headache than trying to explain to person after person that a program will not work on arm versus x86. Last time i said s**t about Windows 8 and I was kind of wrong. Now it's been 1 Month i'm using Windows 8. I feel comfortable and I don't even need start menu because i'm already used to metro and live tiles. To my surprised now Windows 8 is very easy to use, easier than Windows 7 itself. It still has some driver bugs though but i guess it's still new so these issues would be normal. So what i like about It - Metro & Live Tiles - Faster - Better security - Metro Apps - More Stable What I didn't like - Metro third party apps use large amount of ram unnecessarily - It's not lightweight on resources, it has better ram management but not lightweight. Infact if you install a fresh copy of windows 7 64bit it will use less ram - Updates that breaks part of the system - Metro Apps crash - Still need more quality, optimized and polished apps Then you're good to go. This is why i make it a point to never judge something before really giving it a good try, and never listening to someone who does judge without knowledge. I upgraded to Windows 8 on day one and never looked back. I still use Ubuntu as my primary OS, but i like the direction Windows is going. I'm still gonna be pissed if it turns out this story is true though. 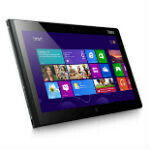 There are plently of tablets that run full Windows 8, some are near exact counterparts of their respective RT models. I don't really see the point in Jailbreaking RT as Windows 8 is already available and how slow would it be to run legacy 'PROGRAMS' (I'm not calling them apps!) on a ARM Processor. This article is complete garbage. "Jailbreak"? Huh? You can do whatever you want, one has an ARM, one is Intel. You will never ever run a Intel app on an ARM. This article should be taken down. Microsoft has already said the Win 8/RT and Win Phone 8 have the same kernel. Just they are compiled for different processors. Agree. The difference is not at high level language, but in ASSEMBLER, that is processor language. ARM's has completely different architecture from x86. ARM is RISC, x86 is CISC. Which means, that the way program speaks to them is completely different. That means, that there are only two ways for Windows legacy programs to work on ARM are: 1. Recompile programs (which means getting to their sources, which are usually companies secrets) 2. Through emulator (which according to my knowledge doesn't exist yet) There is no other way. Perhaps Java programs will work first (if Oracle creates VM for WindowsRT) because Java programs are not in native processor language. Folks Ipads and Android tablets use only Apps that are designed solely to run on touch screen devices. Microsoft has designed the Windows RT operating system to do the same thing. Microsoft Windows 8 and Windows 8 pro operating system is a Hybrid computers operating system because windows 8 computers can run apps that are only designed to run on a touch screen computer and Windows programs that are only designed to run using a mouse and Keyboard user interface. the big question is will people accept Windows Rt computers they are a touch screen apps only like the The Ipads and Android tablets are. I hope people will accept them. Apple and Android tablets should not be the only show in town. Windows RT computers needs apps unfortunately it will take at least a year before they get most of the most popular tablet Apps. Microsoft says they will support the windows RT os for 4 years so there is time for it to grow. Im a MS fan, and thought RT was an issue of the ARM chip.. if its a matter of just locking down to lock down.. that is complete B.S. and MS is only locking it down to give it a reason to be cheaper than intel chip based tablets. Now that I know legacy CAN run on RT I won't by a MS tablet until a full the jailbreak happens, or intel based tablets are the same price as RT ones with the same specs.